I needed to get a lamp for the nursery but as always was rather specific with what I was after. I have a thing about touch lamps, so that was a minimum requirement, I had a very limited budget and it had to of course match the colour scheme. This narrowed it down to almost nothing and after several trips to different shops I found a small touch lamp at a hardware store which was nearly perfect. Nearly, except that the shade was white. And white was not cream. But with so few options I really didn’t have a choice. So the first thing I did when I got home was to Google DIY lampshades. There had to be something I could do to either hide or dress up the white. 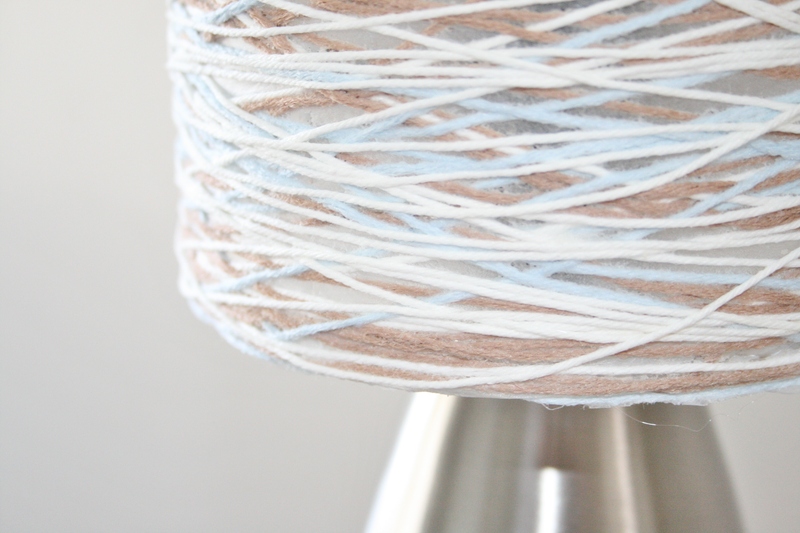 I came across this awesome idea of using wool to make a lampshade. 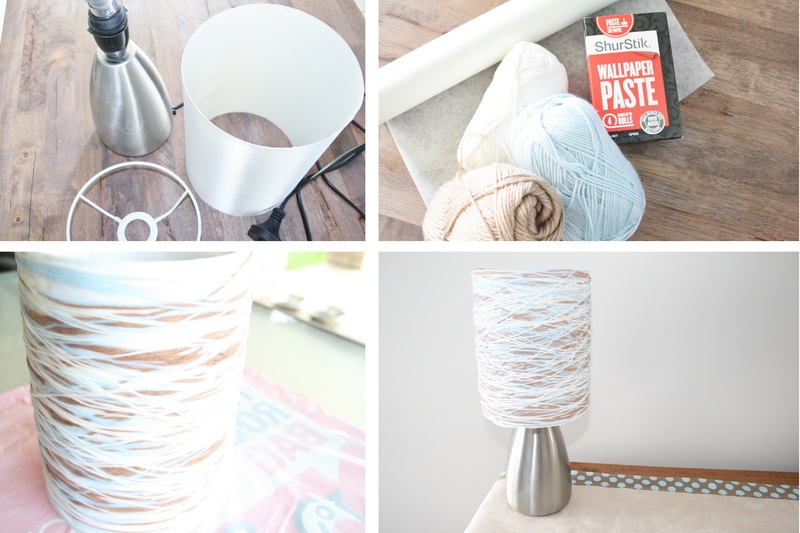 There are a few tutorials out there, most showing how to make a hanging pendant shade, but I did find this lovely blog with really good instructions. Remove the lampshade from its frame. 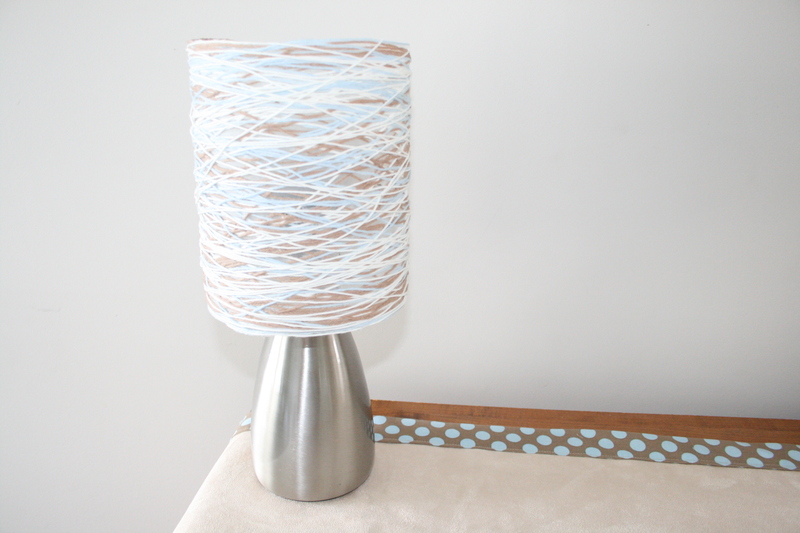 Cover the lampshade with baking paper and secure with duct tape (or staple to the shade). This prevents the wool from sticking to the shade once it is dry. Secure one end of the wool and start wrapping around the shade. Once you have reached your preferred density, secure the other end to the shade. 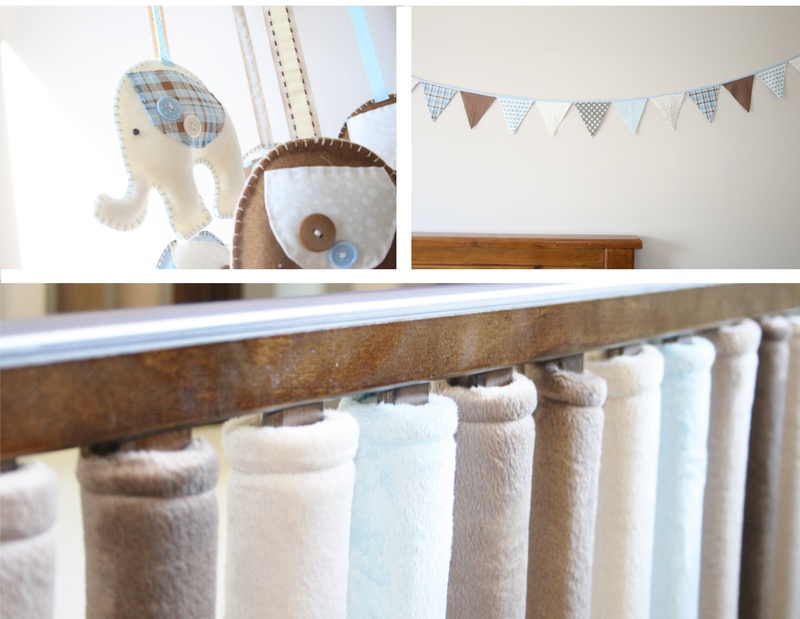 I used three different colours of wool to fit in with my colour scheme, and started with the darkest colour, brown, then the blue and lastly the cream. Start mixing the wallpaper paste according to the manufacturer’s instructions. Once this is ready, use a small paint brush and paint the whole shade making sure that all the wool strands are thoroughly covered with the paste. I then repeated the whole process again with all three colours of wool to ensure my new wool shade will be dense enough, but this is optional and will depend on what type of look you are after and how much light you would want showing through. Leave to dry for at least two days. The wool will become very hard once it is completely dry. Gently remove the hardened wool from the baking paper. I used a pair of scissors and gently made a cut down the actual shade, this made it easier removing it from the inside. 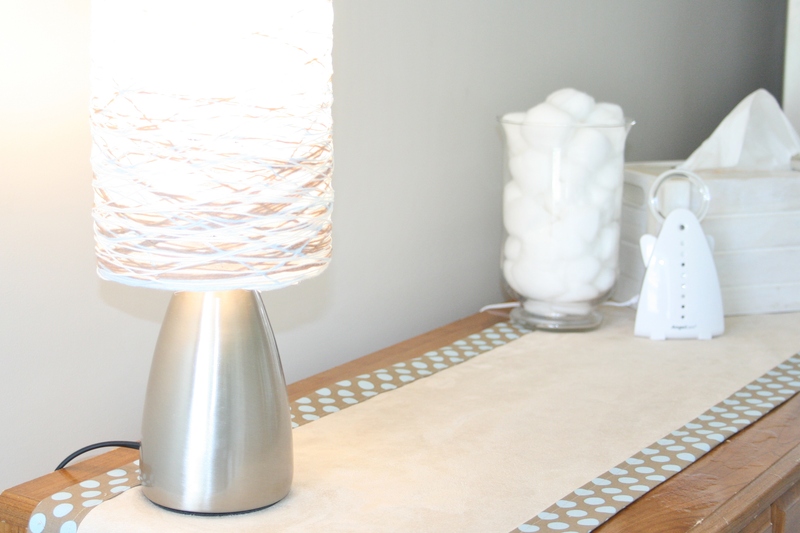 Using superglue or a glue gun, glue the bottom of the new wool shade on to the base of the lamp’s frame and reattach to the lamp. Love this. And your bumper bars are so cool! What a sweet color scheme, I love your taste and style. What a beautiful room your baby gets to come home to! Thank you so much Shari 🙂 I just wish he would hurry up now! !